1. 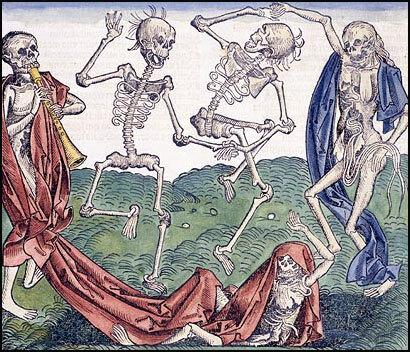 The label ‘black death’ wasn’t actually used by people at the time. 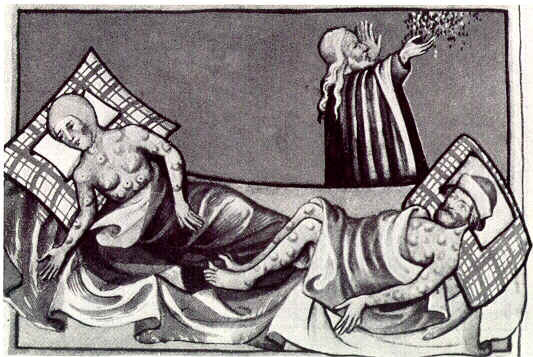 They referred to the plague as ‘the great mortality’ or ‘the great plague’. 2. 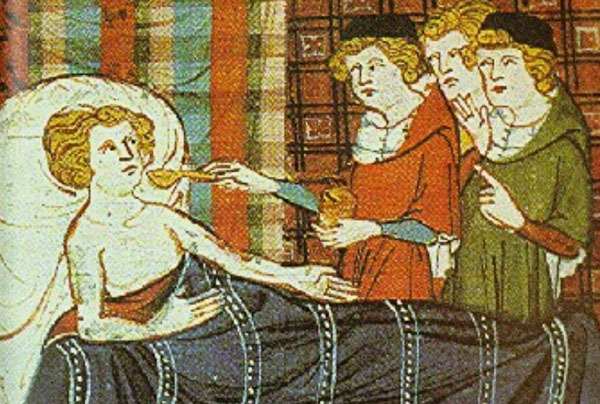 There are three types of plague: bubonic, pneumonic, and septicaemic. 3. Between 40 and 60% of the European population died of the great mortality. Some estimates are as high as 75% and some regions were hit harder than others. It took 300 years for the population to return to pre-plague levels. 4. The survival rate was much higher amongst the upper classes, who could afford to leave crowded, infected cities and shut themselves away in the country. 5. 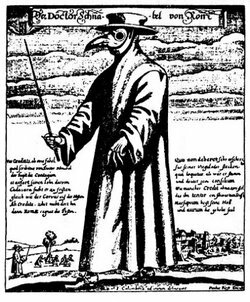 The plague doctor costume, often used/shown when discussing the great mortality, was invented in 1619, and was NOT around during the fourteenth century outbreak. 6. 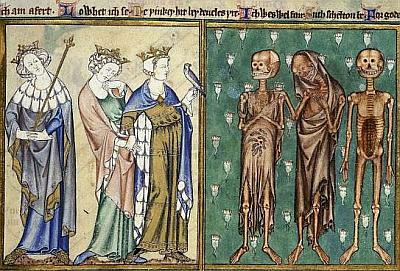 Some of the immediate consequences of the great plague included a halt to the campaigns of the Hundred Years War; a shortage of field labour, resulting in a rise in wages (and, later, very angry nobles – but that’s another story! ); construction of both Ely and Exeter cathedrals was temporarily halted. 7. 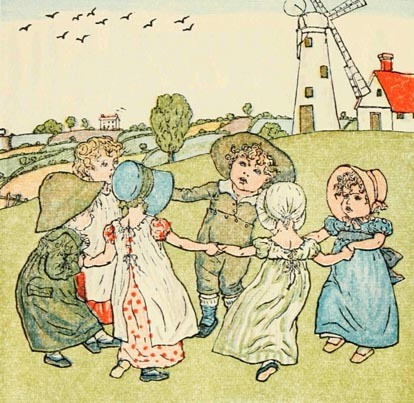 The nursery rhyme ‘Ring a Ring of Rosies’ is probably NOT about the plague. It first appeared in print in 1881. The connection of this rhyme to the plague didn’t exist until after the Second World War, and the words the interpretation is based on do not appear in the earliest versions of the rhyme. And now some fun! Which of the following was NOT a cure/preventative treatment for the great mortality? Reply in the comments. I don’t believe that Hilda would have prescribed…. One of them is actually an Eddie Izzard reference. I’m so disappointed about the doctor costume. I love the drama of it. Interesting post!